New Clinical Trial Open for Men with Prostate Cancer – What's New in GU? Prostate cancer grows and spreads via the androgen receptor (AR) pathway. In the beginning of treatment, most men with prostate cancer respond to androgen deprivation therapy (ADT) which cuts off this pathway. Unfortunately, the tumors are smart and evolve to create work-arounds. As a result, most men become resistant to this treatment. We call this later, more evolved form of prostate cancer, castration-resistant prostate cancer (CRPC), as it is molecularly different from the initial tumor. Taxane chemotherapies – docetaxel and cabazitazel– are the only treatments to demonstrate a survival benefit in men with CRPC. At Weill Cornell Medicine and NewYork-Presbyterian, we have shown that the mechanism of docetaxel taxane action in prostate cancer is inhibiting the androgen receptor pathway on the cellular level by preventing the cancer cells from being able to communicate with other cancer cells using microtubules. Dr. Scott Tagawa explains our prior research in the below video. This suggests that docetaxel may complement other therapies that target the AR pathway, including hormonal-based therapies such as ADT. Recent trials of docetaxel plus ADT validated our scientific findings, demonstrating very impressively significant improvement in survival in men with metastatic prostate cancer who had not previously received hormonal therapy (also known as hormone-naïve metastatic prostate cancer). Taken together, these studies in both hormone-naïve and CRPC suggest that combining drugs that independently target AR signaling (what the scientific literature refers to as forming a “vertical pathway blockade”) will be more effective than sequentially using these treatments to combat the spread of the cancer. Our recently-opened phase I study combines the approved 1st line taxane chemotherapy (docetaxel), approved potent inhibitor of testosterone production (the CYP17 inhibitor abiraterone) and a novel AR signaling inhibitor (apalutamide) in men with chemotherapy-naïve metastatic CRPC. We hypothesize that combining these three agents that all target the same pathway using different mechanisms will result in a synergy that leads to improved cancer outcomes. We previously reported the safety and initial efficacy results of docetaxel plus abiraterone in a multicenter study. The combination was well tolerated and the preliminary efficacy results were promising, confirming the enthusiasm in the prostate cancer community to explore “early” chemotherapy combined with AR-targeted therapy for mCRPC. As in all phase I clinical trials, there are two aims to this study. The first will provide safety and preliminary efficacy data on this combination treatment. Additionally, we will be performing molecular analysis of blood/tumor samples to identify biomarkers that are able to help predict which patients are most likely to respond to treatment, as well as to determine why some cancers become resistant to treatment. This would allow us to develop biomarker-driven clinical trials that have the potential to shift the treatment paradigm and improve outcomes for men with advanced PC. To learn more about this clinical trial or to make an appointment with a physician in the Weill Cornell Genitourinary (GU) Oncology program, please call 646.962.2072. Previous Previous post: You’re Invited: Celebrate the End of Movember! 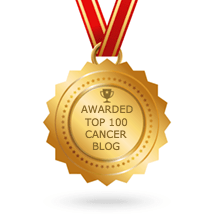 Next Next post: Is Chemo The Best Bladder Cancer Treatment For All?